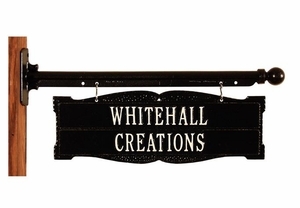 These beautifully crafted double-sided signs are suitable for hanging or to be used lawn and garden plaques. 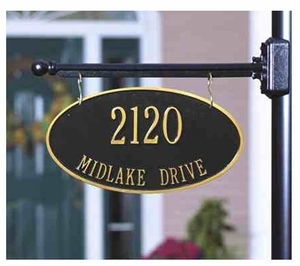 Lawn address signs, oval hanging plaques, arch lawn plaques and more double-sided plaques are available. 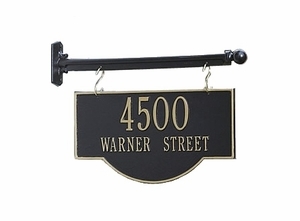 BudgetMailboxes.com is your one stop mailbox and plaque shop. Feel free to contact us if you have any questions. 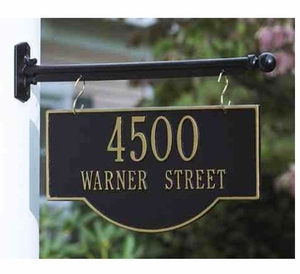 A product expert is ready to help you find the double-sided address plaque that's perfect for your needs. 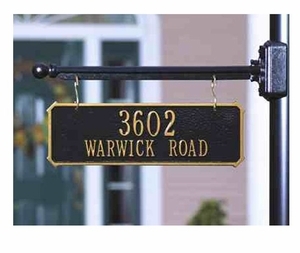 Question: What color combinations are available for the two line lawn address signs? 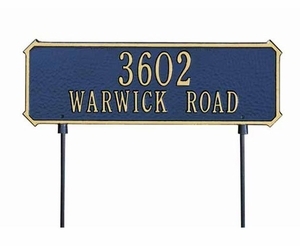 Answer: There is a wide selection of color combinations available for the lawn address signs. Please visit each product page for more information or, better yet, give us a call at (866) 707-0008 and we will assist you. Thank you. 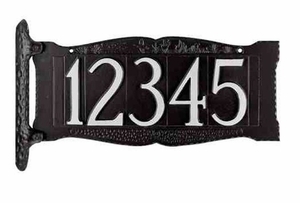 Question: Do you have a hanging double-sided petite oval or rectangular address plaque that can hold 4 numbers? Our ladder bar only allows 10-1/4". 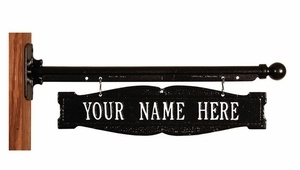 Answer: We do carry a petite oval hanging plaque but it is not double sided.